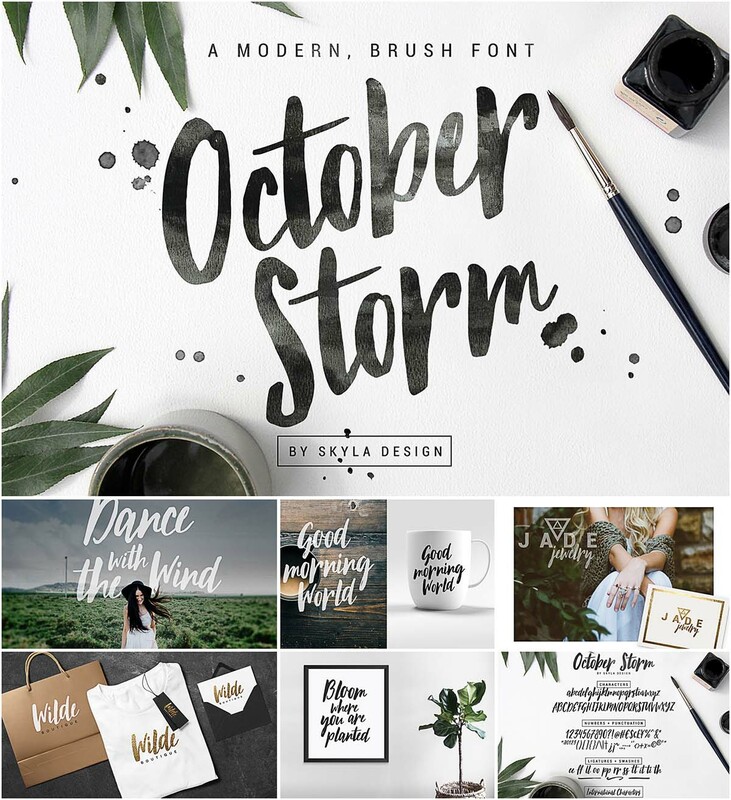 Introducing October Storm – modern brush font. Its perfect for making logo’s, invites, quotes, photo overlays, and other awesome projects. Tags: brush font, calligraphy, edgy, ink, modern font.